Virgin Atlantic and Delta Air Lines, the official airline partners of The O2, will bring the renowned hospitality they offer at 30,000 feet to the U.K.’s most exciting entertainment venue this summer, with the launch of NY-LON Lounge Bar. Honouring the airlines’ important New York – London route, the aviation-themed lounge bar will combine the best of both brands to deliver a unique experience to O2 visitors. Virgin Atlantic and Delta have partnered with Manchester-based design agency, LOVE, to create the 6,000-square foot space. Situated in the entertainment district, NY-LON has capacity for up to 400 guests and features a large bar and seating area, plus a “secret space” for meetings, private dining or small events. 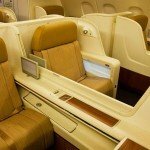 NY-LON will be managed on behalf of the airlines by leading hospitality brand, Levy Restaurants UK and menu offerings will highlight both New York and London inspired cuisines, as well as aviation themed cocktails. The NY-LON lounge bar will be open seven days a week offering a luxurious bar with a difference. 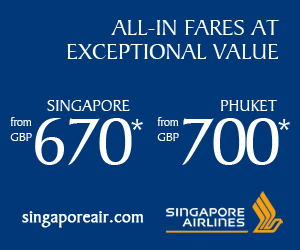 Members of the airlines’ frequent flyer programmes, Flying Club and SkyMiles, will benefit from a range of discounts and special offers. In New York, Delta is the Official Airline of Madison Square Garden and its collection of venues, television networks and websites. In October 2011, the airline unveiled the new Delta Sky360° Club, which was part of the completed first phase of the famed arena’s three-year top-to-bottom transformation. The 10,000-square-foot space offers world-class food and beverages, exclusive behind-the-scenes experiences and other amenities for select guests of MSG events. 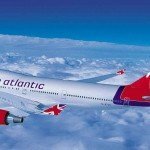 Launched on January 1, 2014, the Virgin Atlantic and Delta Air Lines joint venture partnership creates an expanded trans-Atlantic route network, enhancing competition between the U.K. and North America and providing seamless onward connections. The partnership provides ten flights a day between London Heathrow and New York – with eight to New York-JFK and two to Newark. NY-LON Lounge Bar is scheduled to open at the end of July. British Airways take delivery of their 25th Boeing 787 Dreamliner.